Among the cultural icons of the British Isles, none is perhaps more entrenched than the game of cricket. This distant forebear to our American baseball gained a firm foothold in the Montgomery County area in the mid-1850s, leading to the foundation of what is now the Philadelphia Cricket Club in Chestnut Hill. But in the 1920s, owing to shifts in interest, the tradition waned, replaced with the popularity of golf and tennis. It took until the late 1990s for it to return, an effort championed by Tom Culp, who is now captain of the cricket team at the club. "We hired a director of tennis from New Zealand," Culp says. "He came here and asked why we weren&apos;t playing cricket. I told him, ‘If you teach it, I&apos;ll organize it.&apos;"
Culp started playing with his son, who was nine at the time. 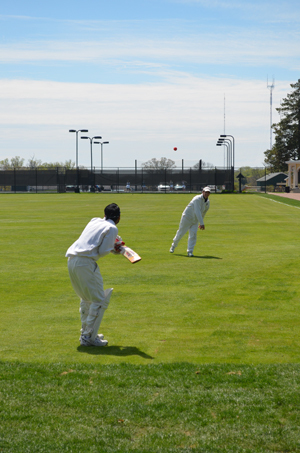 Together, they studied the basics of wickets, bails, googlys, sweeps and a host of other oddly named aspects of the game. "We played together for eight or nine years," Culp says. "It was a great way to share time and introduce him to a new sport. About half our players arrive with little to no experience in cricket. The other half has it in their backgrounds, coming from places like England or the Middle East where it&apos;s more popular." I tell Culp that I&apos;ve watched cricket before. As an undergrad, I studied in London for six months, and it was common fare on television. But, I confess, I could never quite grasp the intricacies. "Our new players struggle with that, too," Culp admits. "It can take as long as a year to learn the basics of how to play the game. At two years, players begin to get comfortable. After three years, we find they&apos;re really getting good at it." The comparison to baseball is a good beginning point, with pitches, hits, outs, runs and innings. But Culp quickly points out the differences: "The bat is held the entire time; it becomes an extension of the player. Also, the fielders wear no gloves. You can tell a good cricket player by looking at his hands. They will be bruised and calloused." 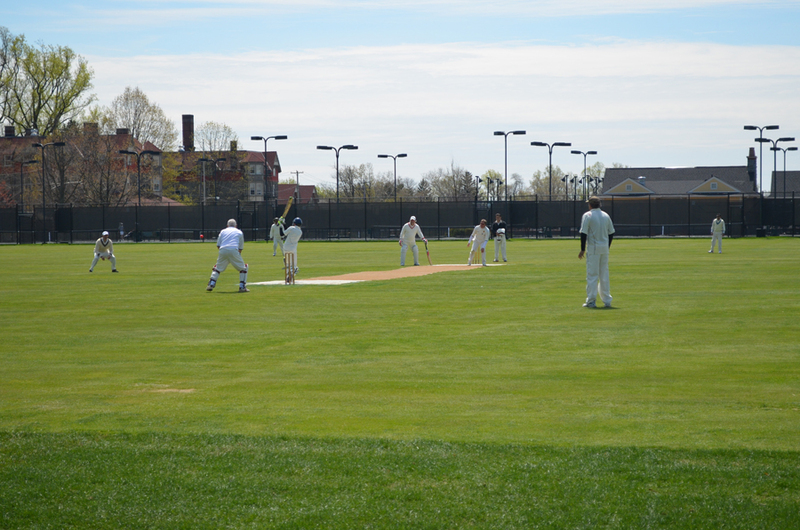 Local fans (including, perhaps, devoted Downton Abby watchers) can gain an in-depth appreciation for this oh-so-British tradition by enjoying the Philadelphia International Cricket Festival, April 30 to May 2. Divisional playoffs occur at Evansburg State Park (501 Skippack Creek Road, Collegeville), as well as Haverford College. More than 200 players from across the globe will be funneled into 21 teams, each vying for a trophy cup. Between matches, again with a nod to tradition, it&apos;s tea time. The public is invited to the festival without charge, but organizers will also be raising funds, partly to encourage youth cricket. "We understand that trying to interest kids in cricket is an uphill climb," says Culp. "We&apos;re competing for their attention with much more culturally engrained sports like baseball. But I think of it like soccer. It wasn&apos;t that long ago that soccer for kids had little interest, and look at it now." Each year, the cricket festival invites a guest of honor, and for the 2015 edition, it&apos;s Michael Kasprowicz, a renowned bowler from South Brisbane, Queensland. Commenting on "Kasper&apos;s" lack of name recognition in the States, Culp summarizes: "The knowledge gap between American baseball and British cricket goes both ways. We usually take our big-name cricket guest to a Phillies game, where he throws out the first pitch. And in general, he has no idea what that means," he laughs. Matches during the festival run from 8:30 a.m. to 7 p.m. Countries represented include the U.S., England, Holland, the Cayman Islands, Bermuda and Canada. To follow the local cricket action from start-to-finish is going to involve a few overnights. Montgomery County&apos;s conveniently located hotels, inns and B&Bs offer plush accommodations that make guests feel like royalty. See our website for suggestions.